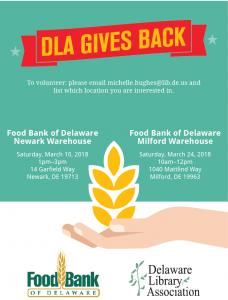 DLA Gives Back at Newark’s Food Bank! 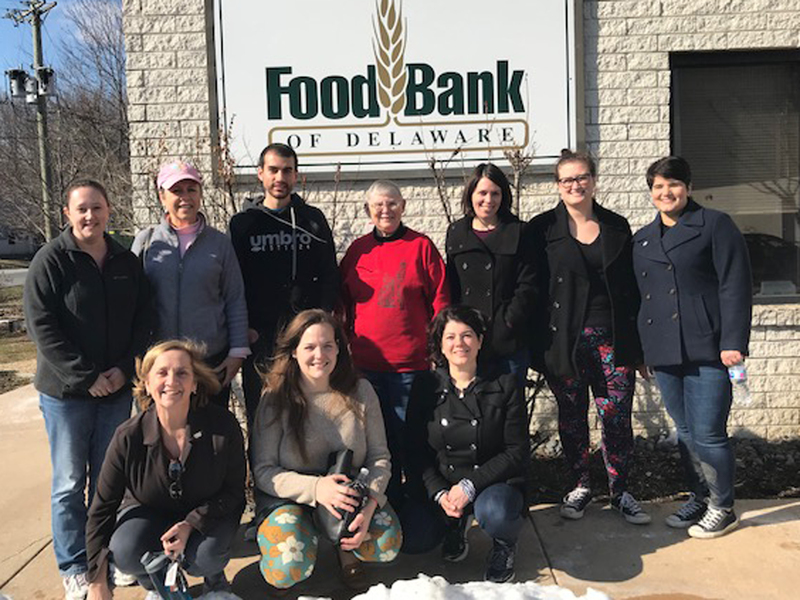 Volunteers for DLA Gives Back packed boxes of food for senior citizens in Newark on Saturday, March 10! 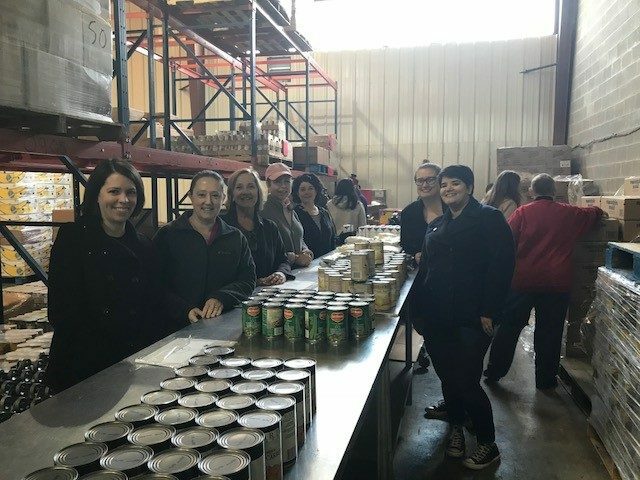 The DLA team included Lauren, Michelle, Cathay, Janet, Adrienne, Sara, Liz, Nicole, and Kay. 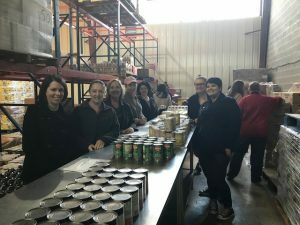 Food Bank organizer Wes (shown in photo between Janet and Kay in the photo on the left) told us how vital these packages are to those who receive them. For qualifying seniors, the Food Bank eases the strain. 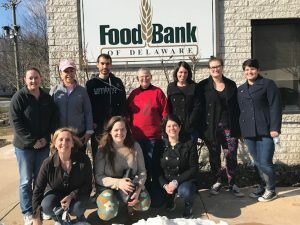 Without the Food Bank and its volunteers, many senior end up making a decision between medicine and food. Join us in Milford on March 24th from 10am–12pm! See the attached flyer below for more information. 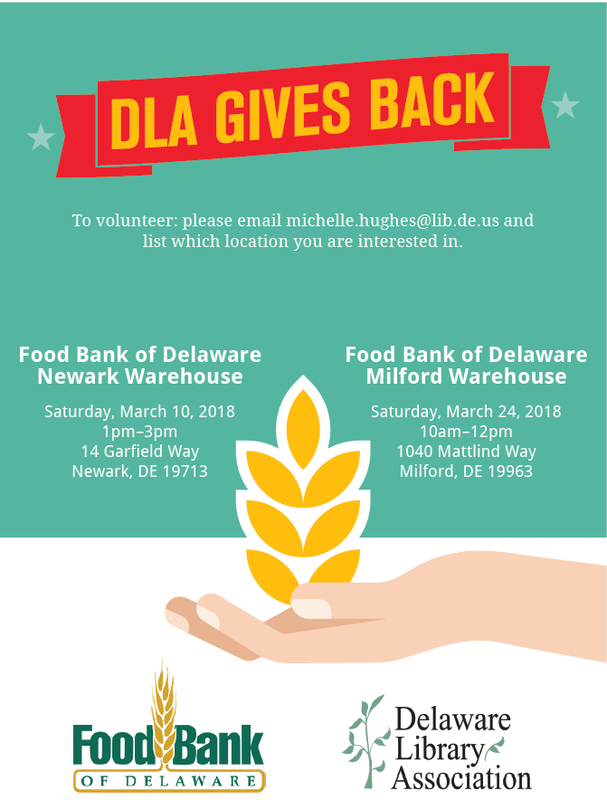 Please email DLA president, Michelle Hughes, directly to reserve your spot! Her email is michelle.hughes@lib.de.us. Be sure to let Michelle know which location you’re signing up for and your phone number (in case of last minute instructions or cancellations the day of). Volunteers need to be 16 years of age, and be prepared to be on their feet for 2 hours with the ability to bend and lift boxes up to 20lbs. Be aware that some warehouses may be a bit chilly this time of year.